People are looking for quality while traveling from one place to another, because they feel it's better to enjoy every moment of life. PHX to Sedona Shuttle is non-stop in a nicer vehicle. We offer door to door service to any address. Keeping in mind the demand of all our 3,200 customers, we strive for excellence in everything we do. We are ranked among the best Arizona Shuttle Service providers, because we are always there to facilitate customers with our high quality services. It's been a few years and we are here on a stage where people love to use our services in Arizona. Compared to riding a bus, stopping and waiting everywhere with another shared ride shuttle service, or taking twice as long and being left at a bus stop, we are clearly the best and most convenient option to get around Arizona. It is important that you book ahead of time just to ensure the availability of the driver and last minute prevent delays getting you to the airport. Most of the time last minute bookings cause problems because the drivers are not available. Due to high demand during different times of year, we recommend you book your car or shuttle as soon as possible. We can pick you up from any location you provide and drop you off at any that you are desired to go in Arizona. 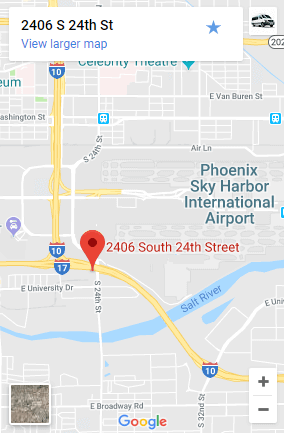 How far and how long is PHX to Sedona, AZ? 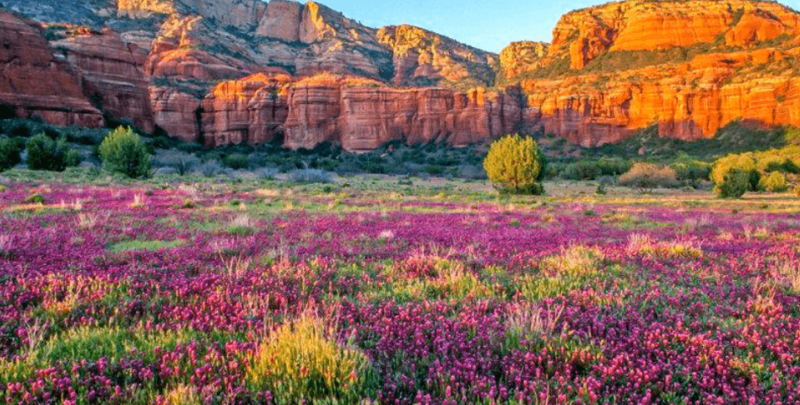 The distance from PHX Sky Harbor International Airport to Sedona is 119.5 miles and it takes 1 hour and 40 minutes with us in a nice car or shuttle. With the bus or another shared ride shuttle service, it normally takes 3 hours and 30 minutes. We always keep in mind the flow of traffic. In rush hour you should add 30 minutes to prevent being late for your flight. With 24/7 services you can enjoy the luxury ride. As compared to other companies like Uber, Lyft, Greyhound and Arizona, we are the ranked the highest in reviews. If your flight is delayed the timing is automatically shifted to 30 and 45 minutes for domestic and international flights respectively. Our prices are fixed based on mileage and customers are provided with promo codes that help them get discounts like 10% off or a free upgrade to non-stop. Another policy we apply is if you get a round trip from PHX to Sedona, and then Sedona to PHX, we offer 10% discount on both the rides each way in addition to the free upgrade to non-stop. This is the best option that only we offer among on the same service providers here in Arizona. When you take into consideration that you will be left at a bus stop, Denny's or gas station with other companies, it's a lot more convenient and affordable. Plus you don't have to arrange or pay for other transportation. Adding everything up it's the same price and a much bigger hassle. So don't wait for too long to book our service if you are wanting to travel from PHX to Sedona, Arizona at a reasonable rate. Taxis are about 2.3 times more expensive and Uber and Lyft can charge you two or three times more if not many drivers are available if anyone at all. For sure you will have a lot of difficulty finding someone early in the morning or someone who is willing to drive all the way to Sedona or PHX and then drive back for free. This is why most of the Lyft and Uber drivers will cancel last minute, because the app doesn't even tell them where they are going until they are already at your home.